Mana Financial Life Design (“Mana”) uses social media to educate the broader public on statistics that impact our daily lives and to inspire mindful decision making around money. We would love to hear from you! Please refrain from using social media as a way to communicate with us. We kindly ask that you contact us using the link below and that you do not communicate to us on social media with respect to your account. We also ask that you do not discuss your experience as a Mana client, because Mana is prohibited from allowing our clients and shareholders to publish testimonials. If you have any questions, want to discuss your account or your experience with Mana, or would like to discuss any of the content posted on social media, please click here to contact us! It is important to Mana that we protect the privacy of our clients and prospective clients and that we adhere to industry regulations and best practices as it pertains to the use of social media. All written content on this site is for information purposes only. Opinions expressed herein are solely those of Mana, unless otherwise specifically cited. Material presented is believed to be from reliable sources and no representations are made by our firm as to another parties’ informational accuracy or completeness. All information or ideas provided should be discussed in detail with an advisor, accountant or legal counsel prior to implementation. Mana may follow another user, share or provide hyperlinks to third-party content or “like/favorite/retweet” third-party content. Doing so is intended to provide additional perspective and should not be construed as an endorsement of any services, products, guidance or individuals. Mana is not responsible for the content of these other sites, including the correctness, accuracy, timeliness, reliability or suitability of such other sites. The inclusion of any link to such site does not imply endorsement by Mana of such site. 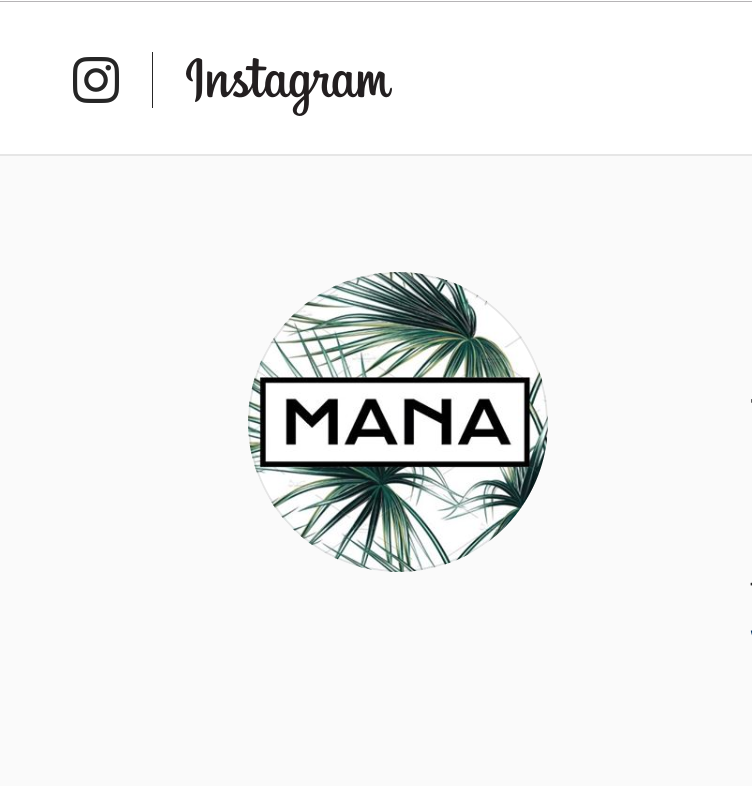 Whenever a third-party posts content to our social media properties, the information remains the responsibility of the party submitting the content and does not represent Mana’s viewpoints or serve as an indication or guarantee of future results. Mana is not affiliated with Instagram, Facebook, LinkedIn or Twitter and therefore has no control over how these and other third party sites use the information you share. If you participate in these or other social networking sites, you should be familiar with their respective privacy/security policies. For your own security, you should never communicate any personal or account information using these channels. Mana cannot control third-party posts on social media platforms that do not permit these posts to be blocked. Please note that postings from others do not reflect Mana’s views and have not been reviewed or approved for accuracy or completeness. Any comments posted by third parties relating to a client’s or shareholder’s experience with, or endorsement of, Mana or Mana’s representatives (a “testimonial”) may not be representative of the experience of other customers. A testimonial is not a guarantee of future performance or success. Who is Mana Financial Life Design? Mana Financial Life Design, LLC (“Mana”) is a registered investment adviser offering advisory services in the State of California and in other jurisdictions where exempted. Registration does not imply a certain level of skill or training. The presence of this website and social media account shall not be directly or indirectly interpreted as a solicitation of investment advisory services to persons of another jurisdiction unless otherwise permitted by statute. Follow-up or individualized responses to consumers in a particular state by Mana in the rendering of personalized investment advice for compensation shall not be made without our first complying with jurisdiction requirements or pursuant an applicable state exemption. All written content on this site is for information purposes only. Opinions expressed herein are solely those of Mana, unless otherwise specifically cited. Material presented is believed to be from reliable sources and no representations are made by our firm as to another parties’ informational accuracy or completeness. All information or ideas provided should be discussed in detail with an advisor, accountant or legal counsel prior to implementation.